Spoilt for choice with either Terrace, Pool and Penthouse Pool Suites, Andara Suites are the perfect choice for those who are looking for something exclusive and slightly less vast than our Pool Villas. The spacious Suites are convenient for families with an open plan kitchen area and large relaxing lounge area. Most suites offer a private infinity pool to enjoy the views. They are roomy enough to offer a comfortable family getaway and ample space for couples, our suites invite you to enjoy views of the sea from your comfy lounge and dining areas, complete with convenient kitchen and wonderfully designed bedrooms all with connecting bathrooms. Suites range from comfy 1 bedroom to 4 bedrooms for larger groups. 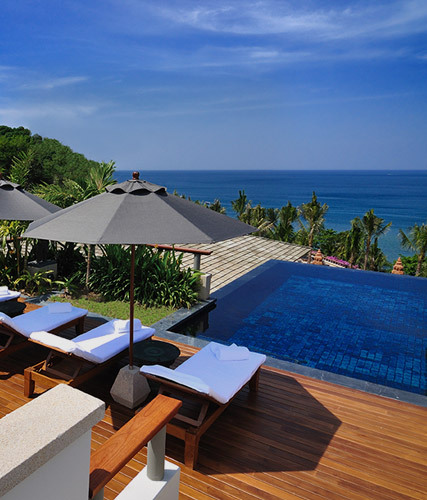 The Terrace Suites enjoy the same breathtaking views of the Andaman Sea. 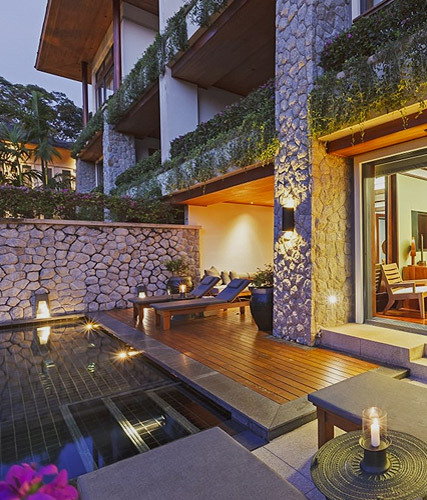 The large 40m resort pool is nearby for a swim before retreating back to the spacious apartment with its clean and comfortable design and Thai influence. The living area opens onto a private terrace, where you can enjoy breakfast or a cool drink at sunset. Jim Thompson silk finishes offer ultimate refinement, while Bose sound systems fill the rooms with rich sounds for the perfect holiday retreat. The Pool Suites feature spacious living and dining areas and sizeable western kitchens which blend seamlessly with the large outdoor terrace and private pool overlooking the Andaman Sea for continuous enjoyment of the spectacular view. 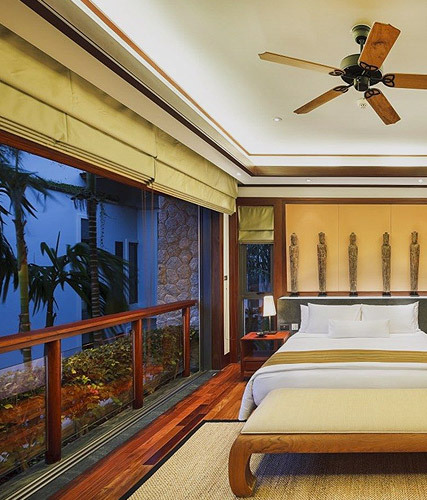 The lavish master bedroom also opens directly onto the pool terrace where there is ample space for lounging in the sun or under the shade before cooling off in the pool. The simple yet stylish interior design with Thai accents mirrors the Andara Villas and equipped with a full range of modern appliances. The Penthouse Pool Suite offers the luxury and open space of a villa, in the convenience of an apartment suite. The spacious layout maintains a premium feel, which allows pure relaxation in the comfort of your personal sanctuary. 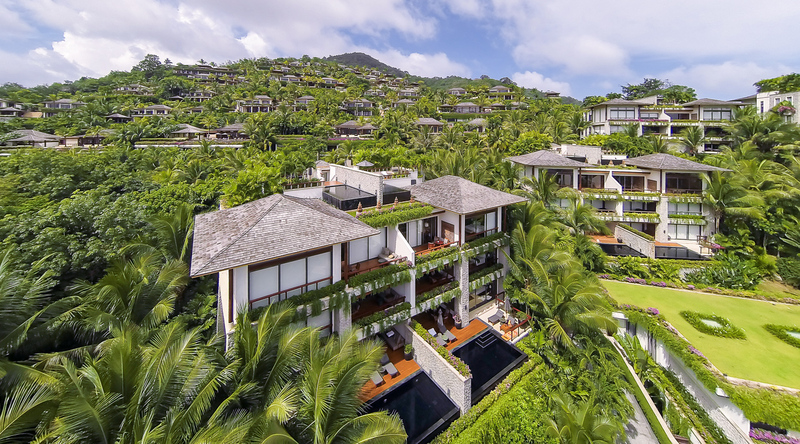 A private staircase leads up to your exclusive roof-top deck with an infinity pool and uninterrupted views from lush hillside to blue sky to turquoise water. The spacious bedrooms have ensuite bathrooms and most enjoy superb views, while the full kitchen opens onto the elevated dining area and lower living area. 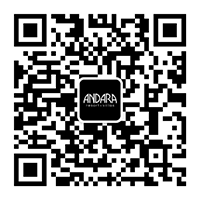 Andara Phuket offers the most exclusive amenities and all Suites have something truly unique to offer. A group of 8 guests or more? No problem.